What is the ending to the human drama? Will all be reconciled to God in the end? Does God demand an altar, a corpse, and blood? Or, rather, is the Christian God set apart from all the other gods throughout history? All Set Free sets out to answer some of the more difficult questions Christians today are faced with. It will challenge the Augustinian understanding of hell and the Calvinist understanding of the atonement; replacing them with a more Christ-centered understanding of both doctrines. This book will also use the work of René Girard in order to reshape how many understand “what it means to be human.” Then and only then should we ask: “Who is God?” Come explore what has become Matthew’s theological pilgrimage to this point. Come discover the God of peace. Available now on Amazon and Wipf and Stock! 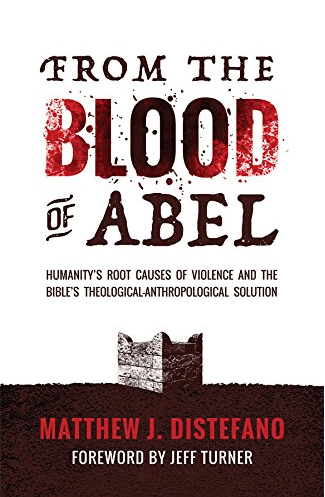 From the Blood of Abel: Humanity’s Root Causes of Violence and the Bible’s Theological-Anthropological Solution. While millions of believers around the world are finding their understanding of Christianity to be outdated and untenable, Matthew Distefano has managed to paint the Gospel in such a way that even an atheist could appreciate its beauty. Rather than a message of rapture, or rewards and reprisals, Distefano presents the good news of what God has done in history to stem the tide of our own violence and evil—inviting us into a whole new way of living and being in this world. By integrating René Girard’s “mimetic theory” and Ernest Becker’s “death anxiety,” Distefano is able to diagnose the root causes of human violence and then offer the life-giving solution in the person of Jesus. Both the struggling evangelical and unbeliever alike can take refuge here, finding in this Gospel the thing their soul—and the disintegrating world around them—is thirsting for. Available for purchase on Amazon and Quoir! In this marvelous follow-up to All Set Free, Matthew Distefano synthesizes Girard’s ‘mimetic theory’ and Becker’s ‘death anxiety’ to diagnose the causes of human violence right to the roots. He then faithfully applies the Christ-solution as our effectual, life-giving remedy. It is especially striking that the author moves easily from theology and theory into real-life scenarios and testimonies. He recounts the excruciating reality of violence and exclusion–but does so to spotlight the power of the beautiful gospel. Humanity has a problem, and that problem has a name. The only problem is that we’ve been largely unable to name this unseeable issue that seems to plague us from the moment we first throw a punch at our siblings for taking away our favorite toy. 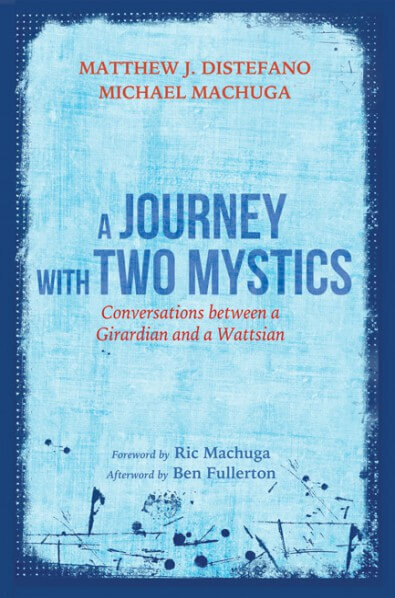 In many ways, the modern surge toward understanding our personal anthropology, and specifically that which is in relation to our own spirituality as well, has been not unlike a pressure-cooker, whistling and gaining volume until someone finally blows the lid off and releases the pressure. What comes out has such force its best to step back and watch from a distance. What is this problem? War, but more to the point, it is in our propensity toward war as a default response to social dissonance. Whether that is a war against metaphorical icons like terror or drugs, or war against other humans, we wage it whenever given the chance. In From the Blood of Abel, Matthew Distefano shows this in force, while making the necessary, important connection between the deity we worship, the theology we espouse, and the wars we wage in the temporal—all while remaining faithful to those serious students of Girardian philosophy and theology. Whether or not we will ever be free of the cancer that is human violence remains to be seen, but the more we have voices like Matthew’s, flooding the scene with this truth, the greater hope I have for that end. Matthew Distefano’s From the Blood of Abel is the book that our country and our world needs right now. 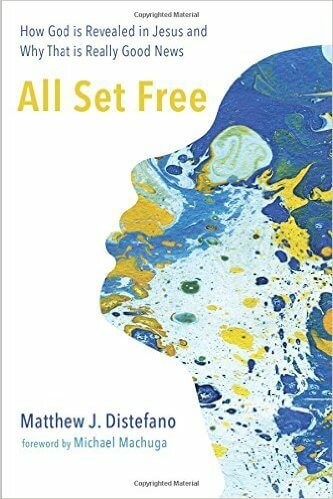 In a day where Christians are known for our violent rhetoric, persecution complex, and scapegoating of all those who don’t fit within our theological paradigm, Distefano powerfully speaks the truth of the Gospel of peace in an accessible and deeply moving way that will shatter the false images of God so many of us have been taught to believe in. In place of the false images, Distefano unveils that the face of God is revealed in Christ, a face that has the power to truly redeem our world. This book is a must read! Despite two centuries of exponential growth in human flourishing, our propensity for violence is still a fundamental theological issue. In From the Blood of Abel, Matthew Distefano does what few writers can do: he uses tools from multiple disciplines to unearth the origins of human conflict, yet still presents a hopeful path forward. Through biblical analysis and the insights of intellectual giants René Girard and Ernest Becker, Distefano shows how the answer to the human condition is the Gospel of Jesus Christ—the True Human. His argument is captivating and deserves the attention of all who care about resolving human conflict. Even those unconvinced by some of Distefano’s conclusions will profit from his penetrating analysis of what ails the world and the God who heals it. If you have stayed away from the Bible because it’s filled with violence and superstitious myths or because the God of the Bible seems violent, wrathful and prone to punishment, you may have overlooked a singular resource for peace. Matthew Distefano offers a persuasive case for reading Scripture as revealing two intertwined realities: humanity’s violence and God’s nonviolence. Making good use of the mimetic insight of René Girard, Distefano guides his readers gently but confidently to a new understanding of the unity between the Old and New Testaments, between the God of Abraham, Isaac, and Jacob and the God revealed by Jesus’ death and resurrection. Distefano believes that the Bible contains God’s plan for achieving peace in the here and now. When you have finished From the Blood of Abel, you will find yourself believing, too. Matthew Distefano’s From the Blood of Abel is a provocative examination of the problem of human violence through the lenses of mimetic theory and Christian theology. Distefano marshals theology, sociology, psychology, anthropology, philosophy, and history to lead readers through humanity’s horrifically violent past and present, and challenges us to look more closely at the ultimate hope for peace that Christianity provides. Distilling insights from René Girard, Ernest Becker, and Michael Hardin, Distefano offers a vibrant and astute assessment of humanity’s seemingly implacable violent tendencies and skillfully shows how the Bible effectively—and often surprisingly—addresses our most fundamental problem. Matthew Distefano’s book, From the Blood of Abel, places bible stories in their historical context and in the light of modern anthropological insight, revealing an astonishing and refreshing depth of meaning. The book digs to the roots of who we are, and offers a view of Christianity that addresses our tendency to be separatists, sometimes to the point of violence. Much of the “Christianity” we imagine postpones heaven to the postmortem, and rips humanity apart in the meantime. But Matthew reminds us that the kingdom of God is within us, and that Jesus doesn’t heal this world through war, ethnic or religious cleansing, or the devaluation of the “other”; but through forgiveness, reconciliation, and love. When reaching the final quarter of faith’s pilgrimage in life, it’s a natural instinct to look back to see if anyone is coming after one’s self with the same spiritual heart beat. When I metaphorically look back, I rejoice to see a new generation of young theological thinkers (in their twenties and thirties) who have already grappled with issues that some of us did not come to grips with until our fifties or sixties . . . if ever! I truly feel a fatherly “cheer” arise in my heart for them. Matthew Distefano is of that number. Matthew’s book, From the Blood of Abel is an excellent book to recommend to seekers who have begun to question traditional Evangelical teachings on alleged God-sanctioned violence, a sacrificial hermeneutic, doctrines of hell and eternal punishment, and much more. Matthew has processed weightier works on these topics and synthesized their salient points into a volume that is reachable to the majority who may have neither time nor inclination to read academic-level treatments on those subjects. In doing so, Matthew has done the body of Christ a great service. I wish I had read a book like From the Blood of Abel when I was twenty-one. If I had, my life would have charted a much different and much more Christ-conformed path, much earlier. Matthew Distefano offers us a robust and intriguing approach to the Gospel. Having had his Christianity restructured both by Girard’s insights into violence, and by Becker’s understanding of death, he makes available a much stronger and richer sense of what Jesus was about in undoing those things than so many approaches which pile quote upon quote, leaving readers at the mercy of their own violence. Those questioning received notions of hell, of wrath, and of an exclusive God will find solid food here. The Bible itself tells us to ‘rightly divide the word of truth.’ For 2,000 years, Christians have divided the testaments, but following Rene Girard, Distefano argues that there are two streams within the Scriptures, one of religion and the other of God’s revelation. From the Blood of Abel is a marvelous introduction to Girardian thought for any struggling Evangelical who is seeking the really good news of Christ Jesus. 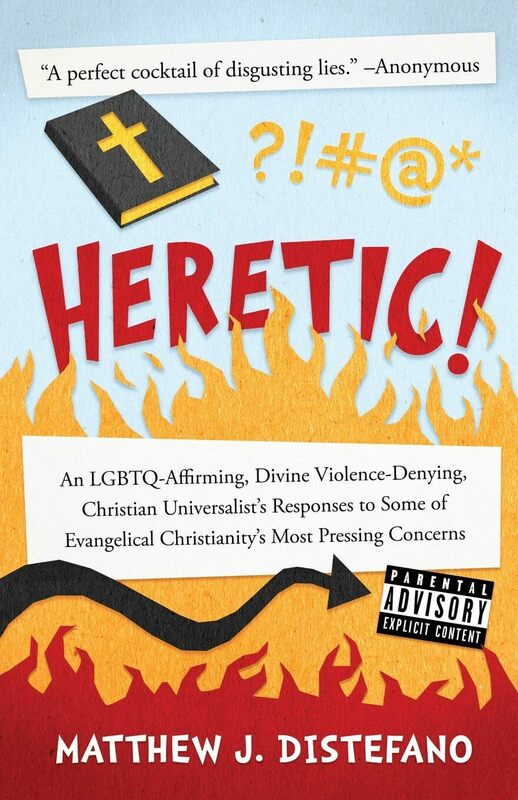 In a book filled with exegetical and theological insights, Matthew Distefano adds his personal voice to the chorus of those who reject altogether the use of violence, insofar as it includes an intention to harm someone, in the pursuit of justice. He rejects, for example, the idea that retributive punishment, whether temporary or everlasting, could ever satisfy to the full divine justice, as Jesus in particular (and the Bible as a whole) has revealed it to us. In the event of wrongdoing, he thus contends, nothing short of forgiveness, healing, and reconciliation has the power to restore a just order. Not everyone who accepts such a view will take it to imply, as he does, “an ethic of universal pacifism,” particularly when it comes to protecting innocent third parties from violent attacks. But all Christians can profitably ponder his arguments, and no one should doubt that an intention to harm someone is always incompatible with loving that particular neighbor even as one loves oneself. Having a careful ear and an open heart is vital to understanding the big ideas of the Universe. Two friends, Distefano and Machuga, put this on display here, vulnerably exploring some of humanity’s most robust topics: what it means to be human, what it means to be saved, what is means to be lost, and what the meaning of life is. And while the authors agree on many things, including the ultimate fate of humanity, they do not necessarily agree on all the details of how we get there. But instead of ‘agreeing to disagree,’ they model for their readers what conversations of this variety should look like — agreement with a little pushback, and even some poking fun at one another from time to time. Available for purchase from Amazon or Wipf and Stock!